Should you filter your tap water? I’m a big water drinker—always have been, in part because it’s so important for my health. But depending on where I’m living—and what the tap water tastes like—I haven’t always filtered my tap water. 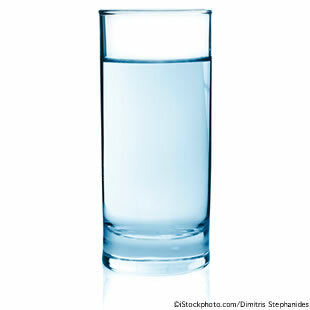 But as I edited a recent story on hydration and health ("Glass Half Full?" written by Rachael Moeller Gorman) and read the story on avoiding toxins in your diet and life in the current issue of EatingWell Magazine (written by Melinda Wenner Moyer), I began to wonder: should I be filtering my water? “A filter will give you better water quality,” says Pauli Undesser, M.S., director of regulatory and technical affairs with the Water Quality Association. Filters remove chlorine added to disinfect the water and so it may taste better. For instance, perchlorate—a currently unregulated chemical (though that’s soon to change, the EPA announced in early 2011) that’s used to make rocket fuel, flares and explosives—contaminates the drinking water of up to 26 million Americans. The chemical has been shown to reduce thyroid hormone production. Experts worry about the risks perchlorate poses particularly to babies and children. “Potentially even a very mild degree of low thyroid function could have an adverse effect on cognitive outcomes for a fetus. However, no studies to date have shown effects of low-level perchlorate exposure on thyroid function in pregnant women,” says Elizabeth Pearce, M.D., an endocrinologist at the Boston University School of Medicine. In December 2010, the Environmental Working Group also reported finding hexavalent chromium (chromium-6), the “Erin Brockovich” contaminant that the EPA considers “likely to be carcinogenic to humans,” in the drinking water of 31 U.S. cities, including Chicago and Los Angeles. In the wake of this report, the EPA is reassessing the “oral reference dose” (or upper limit of what is considered safe), with a final ruling expected by the end of the year. The good news is that a filter can remove harmful unregulated compounds, as well as pharmaceuticals, pesticides and metals like lead and copper that may have entered the water supply via underground pipelines or your home’s plumbing. 2. Once you know what’s in your water, you can choose a filter certified by NSF International or the Water Quality Association to screen specific contaminants. Often, a $20 carbon-based Brita pitcher with a filter will do the trick. 3. Lastly, don’t assume that bottled water is better: per the FDA, it must meet the same standards as tap. Which is better for the environment—bottled or tap?